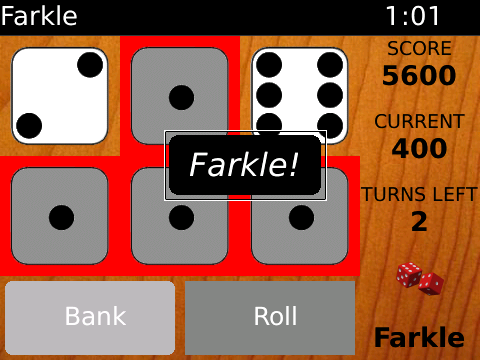 10,000 Farkle has been updated to version 1.4 in BlackBerry AppWorld. This update adds support for the soon to be released OS7 devices as well as adding integration with the native BlackBerry options menu. 10,000 Farkle is a dice game that requires both skill and luck. Points are awarded for various dice combinations, but if a roll fails to contain any combinations the turn ends with no points awarded. 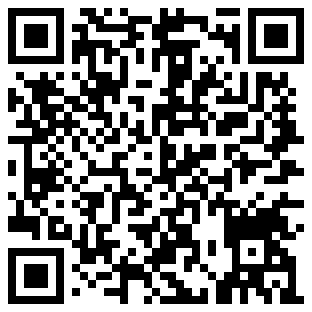 Version 1.4 of 10,000 Farkle adds support for the upcoming BlackBerry OS 7 phones including the 9350, 9360, 9810, 9850, 9860, 9900, and 9930. In addition to supporting these new devices the update also allows some of the game options to be edited from the native BlackBerry options menu, and makes a few cosmetic changes to the game’s interface. 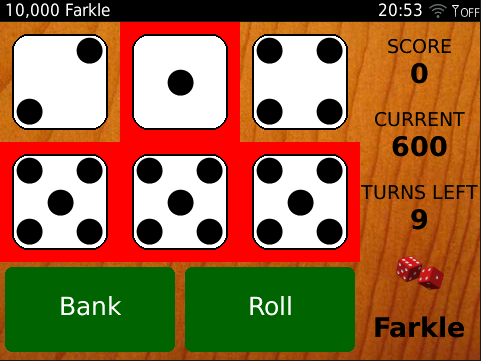 Farkle gives you six dice to roll and awards points for a straight, three pairs or three or more of the same number. Fewer points ares also awarded for each individual 1 and 5. Any dice that do not score can be re-rolled for additional points. If all 6 dice can be scored, all of the dice can be re-rolled on the same turn. The skill in this game comes from knowing how far to push your luck, and which scoring combinations to take, and which to re-roll. The default game mode gives you 10 turns to score as many points as you can. The 10,000 point mode is the traditional way to play, where the goal is to reach 10,000 points in as few turns as possible. The two competitive game modes “vs Friend” and “vs Computer” both use the traditional race to 10,000 points.